Do You Have a Pre-Existing Condition and Need Life Insurance Protection? If so, you may be wondering if it’s possible to get insured, if it will be affordable, and how much coverage you can get. These are all good questions and concerns that many just like you with a health condition may be considering when in need of life insurance protection. The answer to your question is "Yes", you can get life insurance with an existing health problem. There are plans available that offer insurance to those with health issues, and some insurers even offer guaranteed approval, which means you can’t be turned down. Is It Possible to Purchase a Life Insurance Policy If I Have a Chronic Health Condition? Yes, there are several life insurance companies that will insure someone with a health issue. What Types of Pre-Existing Health Conditions Can Be Insured? Diabetes, obesity, cancer, cancer survivors, high blood pressure, high cholesterol, smokers and HIV, among others. What Type of Life Insurance is Available with a Health Issue? There are term life insurance and permanent life insurance policies available, but whether or not you qualify will depend on your age, health, and specifics regarding your illness, including they type of illness you suffer from, how long you have been ill, and the medication you currently take to manage your condition. However, if you apply for life insurance and are turned down, there are guaranteed issue life insurance plans available that offer permanent protection lasting your entire lifetime. With guaranteed issue life insurance, you may purchase up to $25,000 of life insurance from one insurer. However, you may purchase a policy from more than one life insurance company. That depends on your age, gender, and the amount of life insurance you need. Here’s how you can request a free life insurance quote, with no obligation. Is a Physical Exam Required? No. Guaranteed issue policies do not require any health examination. Will I Be Asked Questions About My Health? Usually, there are no health questions asked for a guaranteed approval policy. Can My Insurance Policy Be Cancelled? No. The insurance company cannot cancel your coverage; for example, if your health worsens. But, you may request to cancel your policy and end your coverage if you wish to do so. Will My Premium Ever Increase Due to My Health? No. With guaranteed approval policies your premiums usually remain the same for the life of your coverage. Can I Get Life Insurance for My Spouse, Too? Yes. You can buy life insurance on yourself, you and your spouse, or just your spouse. It’s up to you. Each guaranteed issue life insurance policy from United of Omaha comes with a 60-day money-back guarantee, so there is no risk to you if you choose to buy a policy. Which Life Insurance Companies Will insure People with a Health Condition? Whether you have just been diagnosed or have been living with a health ailment for several years, there are multiple insurance carriers that may offer you coverage, including Prudential, Transamerica, Metlife, Colonial Penn, Gerber, United of Omaha, and AARP/ NewYork Life, among others. 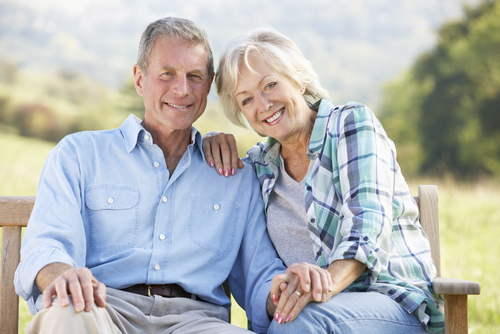 What are the Best Life Insurance Carries for Senior Citizens? There are several factors to consider when selecting a life insurance carrier for seniors, including which insurers are trustworthy, reputable and established for a long period of time. What Type of Life Insurance Policy is Available with Health Issues? Depending on your age, overall health, treatment and prognosis, you may qualify for permanent life insurance, term life insurance, or you can buy guaranteed issue coverage. Permanent insurance provides lifetime protection, term insurance offers coverage for a period of up to 30 years, and guaranteed issue life insurance is usually for your entire life. What If I Have Been Turned Down for Life Insurance Coverage? If you have a health condition you may have been denied coverage for life insurance when applying for a policy due to your health. If so, you can either contact a life insurance broker who specializes in placing high risk life insurance for people with pre-existing conditions – they have access to high risk life insurance carriers that may insure someone with your health condition. Or, you could buy a guaranteed approval life insurance policy which guarantees your acceptance for coverage if you meet the age requirements (ages 45 to 85). ﻿Research Your Options – Learn about the different types of life insurance available. Be Truthful and Upfront About Your Health – Answer all application questions honestly. Compare Pricing from Multiple Insurers – Get a price quote from several life insurers. Choose the Right Policy – Fully underwritten, term insurance, graded benefits (few health questions) or guaranteed issue. Take a Medical Exam – If you apply for a fully underwritten policy the insurer pays for the health exam. Speak with Your Doctor – To ensure accuracy and efficiency of getting the proper information and health records to the insurance company for underwriting and review. When Does Coverage Start – Verify when you will have full (100%) coverage with the policy you choose to purchase.